Weimar is a city in Germany located in the state of Thuringia. It is famous as the center of classical German literature, where Luther, Cranach and Bach lived and worked. 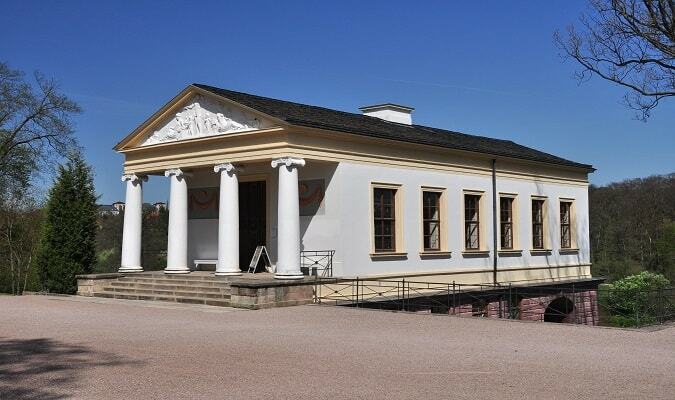 In the 18th century was also home to Goethe, Schiller and Nietzsche. The Goethe House (Goethes Wohnhaus) is the place where Johann Wolfgang von Goethe lived between 1782 – 1789 as a tenant and between 1792 – 1832 as owner. Many of the accessories of the last years of Goethe‘s life have been preserved. The Schiller House (Schillers Wohnhaus) was the home of Friedrich Schiller, famous for his poetry, as well as for his friendship with Goethe. It was his home from 1802 until his death in 1805. The attached museum houses a large collection relating to his life and work. 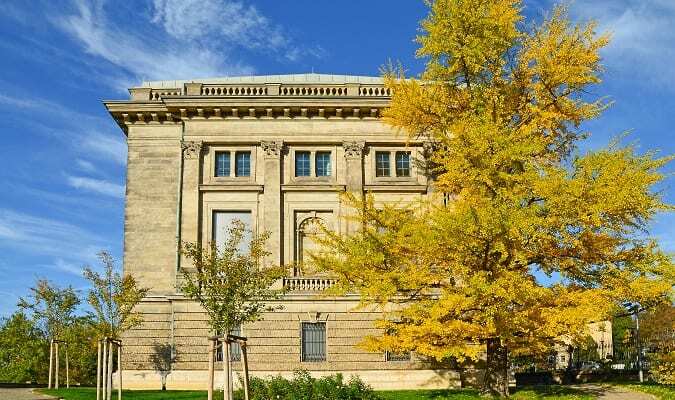 Goethe und Schiller Archiv is the oldest literary archive in Germany. Due to the unique profile of its collection it is recognized as one of the central archives of the world of German literature of the 18th -19th centuries. The Stadtschloss was the residence of the Dukes of Saxe-Weimar and Eisenach. 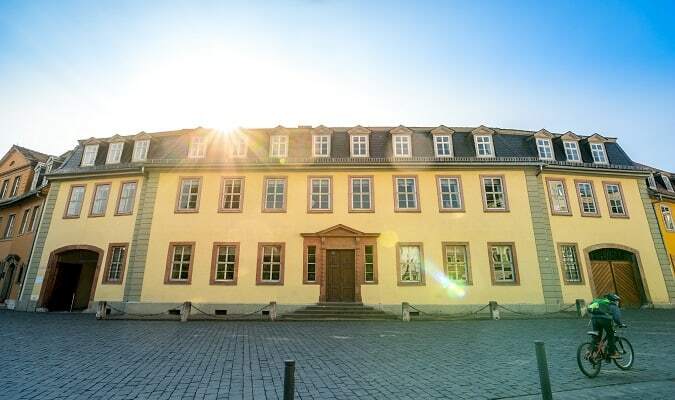 Since 1923 the building houses the Schlossmuseum, a museum focused on paintings from the 15th – 16th centuries and work of art related to Weimar. The Schloss Belvedere is a castle built between 1724 and 1732. Today it houses an art collection including porcelain and 18th century paintings. As a summer residence, its gardens had French style between 1728 and 1748. After 1811, the gardens were converted to adapt the English style, as an “English Garden”. The Nazi Concentration Camp known as Buchenwald existed between 1937 and 1945. More than 250,000 people of more than 50 nationalities have been imprisoned in Buchenwald and over 50,000 have not survived. The memorial is located 10 km north of Weimar. The Römisches Haus was constructed between 1791 and 1797. It was inspired by the villas around Rome. The areas open to visitors include the atrium, the Blue Salon and the Yellow Salon. An exhibition in the basement shows how the park on the Ilm river has been being developed since the late 18th century. 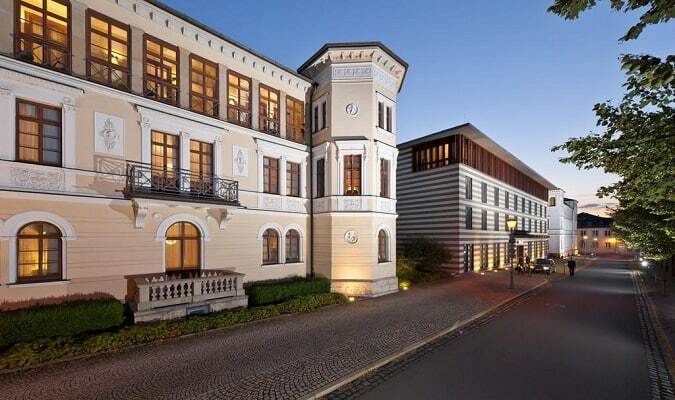 The Leonardo Hotel Weimar is located 1,3 km from the Goethe House. The hotel has 294 rooms equipped with a flat-screen TV and hair dryer. 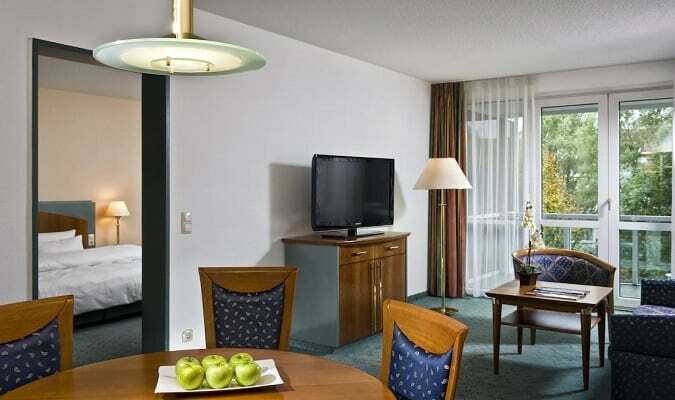 The Best Western Premier Grand Hotel Russischer Hof is located in the heart of Weimar. The Park Inn by Radisson has 194 sophisticated rooms including 4 suites. The hotel is located 6 km from the Belvedere Castle and Goethe House. The Dorint am Goethepark Weimar is central located. The hotel has 143 rooms equipped with a flat-screen TV, work desk and safe. 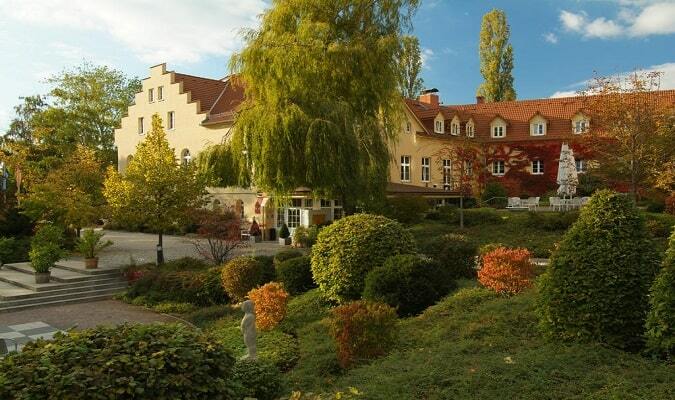 The Romantik Hotel Dorotheenhof Weimar is located 6 km from the Goethe House and 6 km from the Belvedere Castle. Rooms are equipped with a flat-screen TV, minibar, safe and work desk. The Weimar Atrium is located 950 meters from the Weimar Haus. Brands: Tom Tailor, Esprit, Bonita, New Yorker. Weimar has easy train access from various cities in Germany. Famous cities nearby: Leipzig, Erfurt.